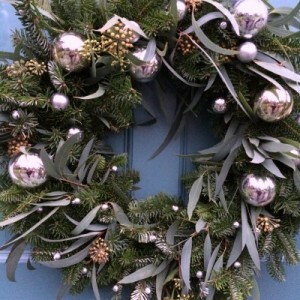 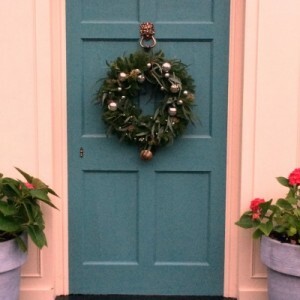 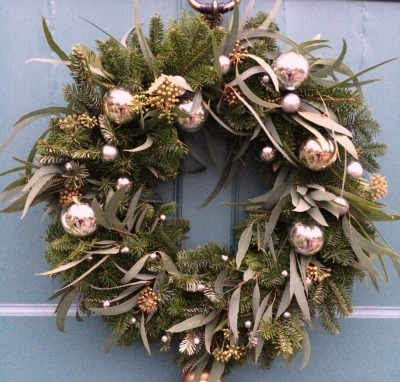 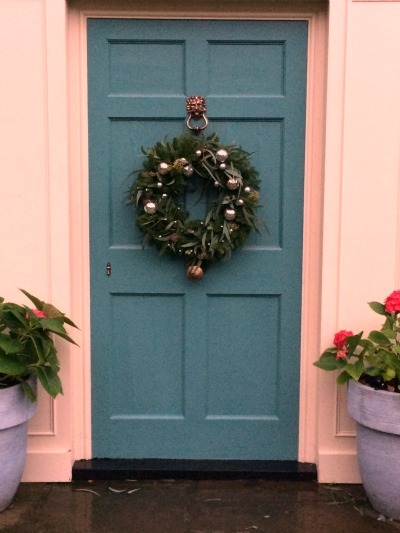 This stunning wreath is inspired by Martha Stewart but has a much more British feel. 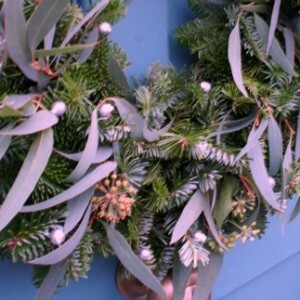 It is made on a base of Noble and Fraser fir with wild ivy and eucalyptus. 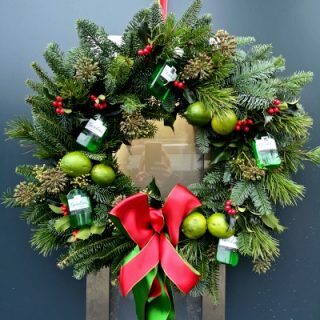 It is finished with glass baubles in silver in three different sizes. 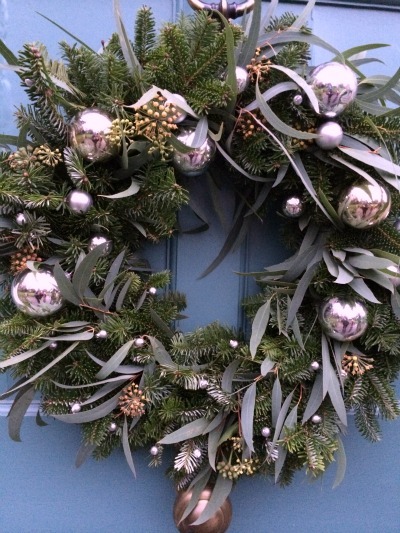 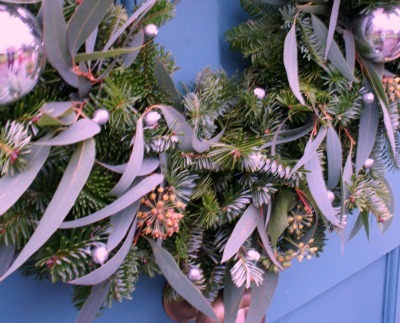 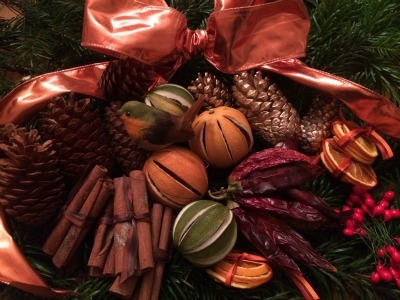 The greenery in this wreath is 100% organically grown. 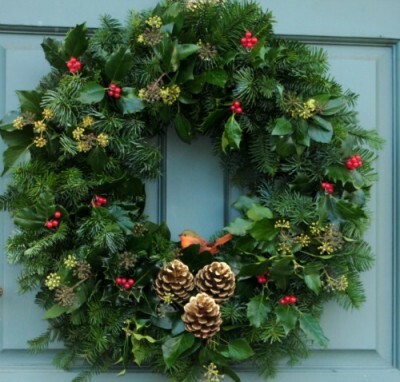 16-18″/40-46cm diameter, weight approx. 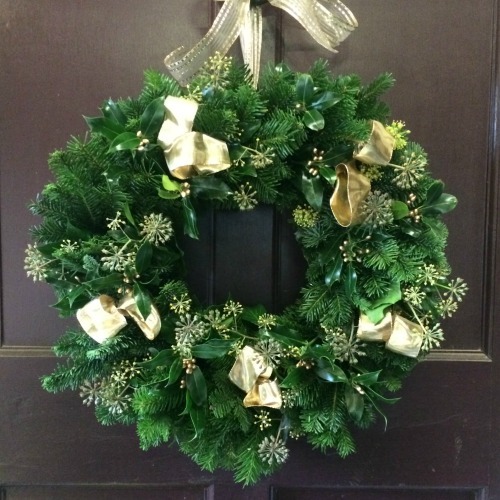 2 kg.